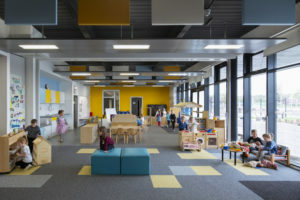 A new 53,280 sq ft purpose-built education campus in Balloch, West Dunbartonshire. 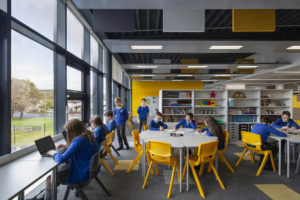 Balloch Primary School has recently been built on the site of the demolished St Kessog’s Primary School, with the new building allowing three existing schools to come together in a modern learning environment, with capacity for 747 pupils. 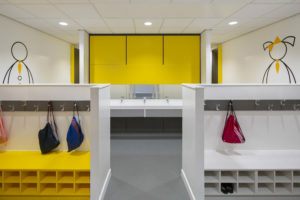 We were delighted to be involved with this project and carried out a vast selection of FF&E including fixed and loose furniture, IPS systems and WCs, cloakrooms with benches and shoe box storage, magnetic whiteboards, blinds and mobile teaching lecterns. 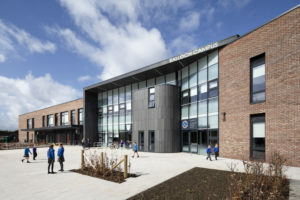 The school was successfully handed over on time to WDC and officially opened to welcome pupils on Monday, 19th February 2018.